Is this DNAvatar Program for You? DNAvatar™ is a program for spiritual seekers who are interested in consciously participating in their evolving DNA Activation process and want to go beyond the initial awakening experiences. You will already be on a path of self-realization, seeking enlightenment as a predominant way of life. You will have strong intentions and desires to seek altered states of awareness in order to participate more fully in awakening your full DNA codex (2-strand physical and 12+ strands etheric). 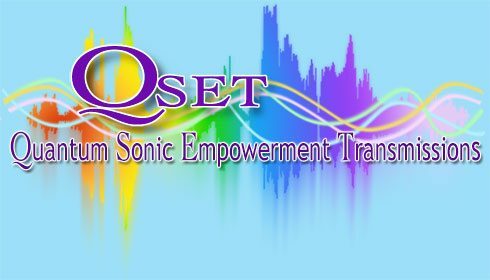 The multidimensional QSET™ soundscapes that are the major part of this program will assist you on a daily basis to increase your Light Quotient by providing higher vibrational sustenance to all your bodies (physical, emotional, mental, spiritual). As you navigate the shapeshifting process from 3rd density (3D) towards becoming a more evolved being of Light in the 5th World (5D), you will have the much needed energetic support via these sonic transmissions. These multidimensional frequency patterns will help you to continuously and consistently maintain your connection to Source Vibration.  Your focus and intention is a key aspect to the success of this program. Each course provides you with audio, visual and kinesthetic styles of information to help you achieve all your desired goals on all levels of your bio-energetic being. This program is ideally suited for those who are seeking deeper connections to their inner path and purpose by choosing to direct their own personal evolution from this point forward by connecting with their DNA blueprint. The DNA codex is your anchoring point of focus. Courses are for beginners, as well as advanced seekers. The courses will gradually take you from the basics to the more advanced principles of DNA Activation using Multidimensional Sound as a Transformational Tool. This music is for sincere seekers of inner truth and higher wisdom, who would like to put that knowledge towards generating practical and grounded results in one’s life. featuring our powerful QSET technology for establishing harmonic resonance throughout multi-dimensional realms of Light . . . . I could literally feel the individual notes seeping into my cells and transforming me on a very deep level. I could feel the increased Light in my body. I am a "changed vibratory being" and I have felt a tingle of excitement as I experience a deep Knowingness that I have found exactly what I was looking for at this critical juncture in my Evolutionary Shift as a human BEing. This program provides information in a manner that anyone can understand and will be beneficial at any stage of their soul’s journey of discovery. This program is a complete transformational experience. Once I started listening to the soundscapes I launched into a journey that changed everything. When you start listening to the soundscapes and participate in your own transformation, the magic happens. All this time I have been looking outward to grow. When I could have been looking inward at my DNA. Want change, want to grow in all areas of your life? Then apply the teachings in the DNAvatar in your life. The DNAvatar material is So rich. It's as though everything I've asked for in the last year and the things I need to know right now are being answered for me via these teachings. I've been a metaphysical student for many years, and I've never encountered any program like DNAvatar. The material is fascinating and the results are immediate. I find that this music has helped me evolve my creative writing projects as well as provide me with deeper insights when I’m working in my community at town council meetings. Very powerful and engaging sounds.